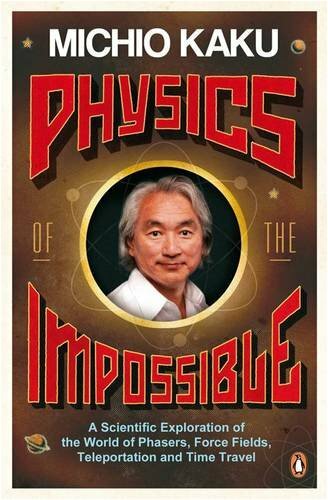 In Physics of the Impossible, Michio Kaku tackles some of our favourite technologies from science fiction and parapsychology to see whether they are actually possible. It includes chapters on force fields, telepathy, robots, time travel, perpetual motion machines and lots more. The chapter on robots was particularly interesting, because robots is something that we’re talking about a lot at work. That then leads to a discussion about artificial intelligence and its complications. The technologies are classified into three classes. Class I technologies are things that are allowed in the laws of physics and will likely be seen within the next century. They include things like invisibility, phasers and starships. Class II technologies are theoretically possible but require resources that could only be at the disposal of a much more advanced civilization. Lastly, there are two technologies that break the laws of physics as we understand them today. Of course, it’s entirely possible we don’t fully understand the laws of physics yet. I really enjoyed this. It’s the kind of thing that makes me feel really excited about the future of humanity and our capacity to survive. It’s an easy-ish read, given the subject matter, and a lot of fun.